Bentall Rowlands manufactures in-house, a complete range of catwalks, ladders and platforms to suit new or existing installations. Bentall Rowlands’ standard range of catwalks are available in widths from 1,200mm to 2,000mm wide in 200mm increments. 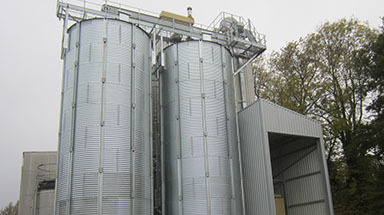 They utilise a galvanised double or triple stringer design depending on the conveyor loads and free-span required. 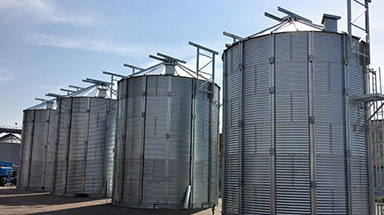 The double stringer design allows for the complete internal area to be decked using hot-dip galvanised flowforge. 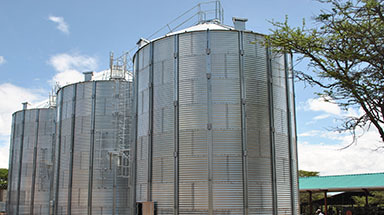 This is an added safety feature ensuring free and safe passage for site operators. The handrail posts are hot-dip galvanised angle sections, bolted both vertically and horizontally to give a reassuringly sturdy support. Double or triple runs of galvanised tubing make up the handrail system. These tubes can also double up as air lines when using pneumatic equipment. With some project layouts and equipment it may be necessary to block the open area of a catwalk. We can assist with this problem. 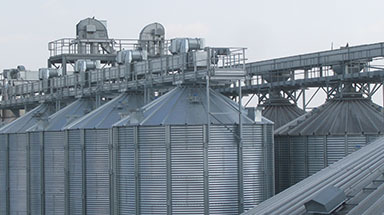 One added feature of our catwalk design is that we can supply side extension platforms to ensure that the operator always has clear and safe passage. Long free–spans, multiple conveyor systems or supporting high capacity handling equipment is not a problem with the Bentall Rowlands range of gantries. 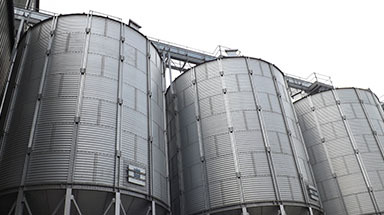 Our design team have a number of tried and tested designs to call upon. 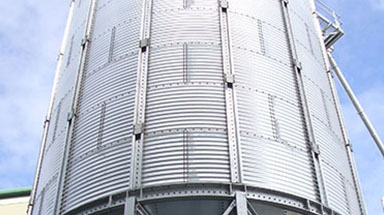 All are produced from black steel which is then hot–dip galvanised to ensure a long working life. Bentall Rowlands can also supply both catwalks and gantries with optional intermediate conveyor supports. These supports are fully galvanised and can be installed allowing the conveyor to run either horizontally or inclined. They bolt directly to the vertical handrail post and to the bottom cross channels giving a very strong support for any size of conveyor. 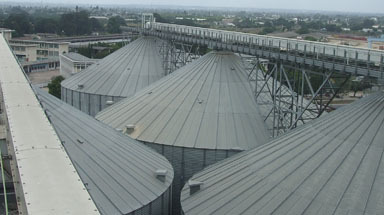 The Bentall Rowlands silos, both flat and hopper bottom, are designed in such a way that the catwalks can be supported by a combination of sidewall brackets and peak supports. 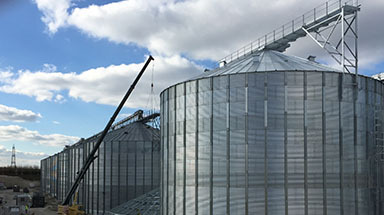 Both of these allow the loads imposed from conveying equipment, personnel, snow loads etc to be transferred either directly, or via the roof structure, to the vertical stiffeners which in turn transfer the load to ground level. 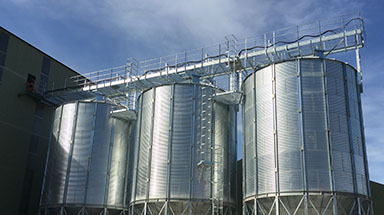 This eliminates the need of costly independent support structures. 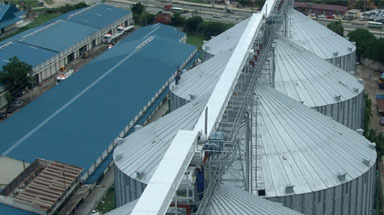 On the larger range of silos we incorporate a back-brace system to enhance the bearing capacity of the catwalk.